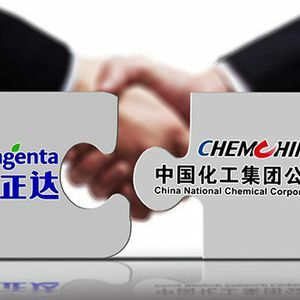 ChemChina announces changes to the financing of its planned $43B purchase of Syngenta, likely ensuring a lengthier review by regulators around the world, including the U.S. Committee on Foreign Investment. The planned deal, unveiled in February, would rank as the biggest-ever foreign acquisition by a Chinese company and would supercharge China’s effort to develop its domestic seed industry – a key part of the chinese government’s strategy to secure food supplies as domestic consumption grows. It is one of several mergers in the Works that would reshape the $100 billion global market for crop seed and pesticide, as three straight years of declining prices for major crops have pressured profits and forced companies to scale back staff and research. The Chinese company says it has secured a $5B investment from an arm of one of state-owned conglomerate Citic, which will allow it to reduce its reliance on loans to finance the deal. ChemChina’s continued effort to secure financing for the deal has weighed on SYT shares, which have traded at a steep discount to the offer price.